When switching out replacement or alternate heat coils for your e-nail, the most important thing to do is make VERY sure that the wiring configuration matches. If you don’t, your e-nail probably won’t work, and you might even bust something (hint: not a nut)! Many e-nail makers have decided to go with their uber-fancy wire-switching techniques to try to confuse customers into becoming repeat buyers; but you probably already know that if you got this far, so read on for options on remedies for this frustrating situation we find ourselves in! The first and easiest way that you should go about finding which wiring configuration your e-nail controller (or heater coil) is set up for is just simply by emailing the e-nail company (say it in your head 3 times first). Ask “Will you please tell me what the XLR plug wiring configuration is for the 5 terminal pins? They will understand, trust me. 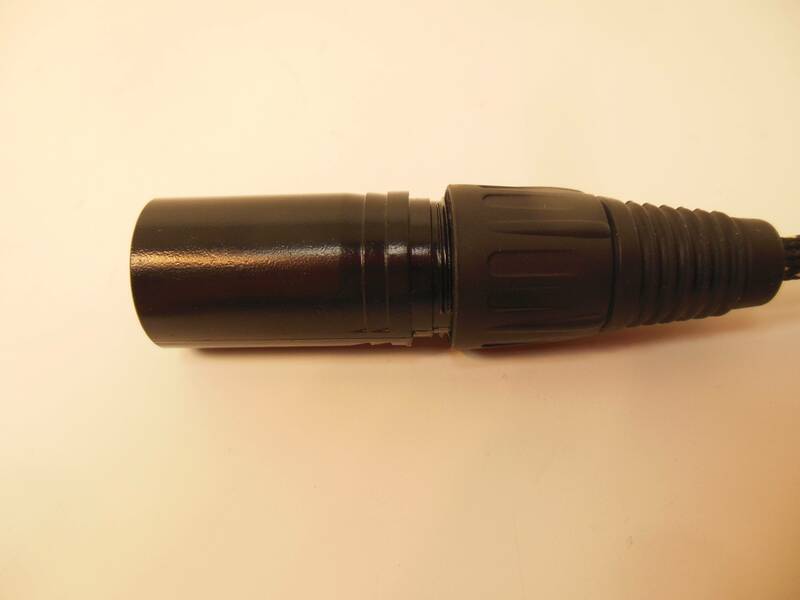 They usually will be glad to tell you how the enail is wired at the XLR plug– since there’s not much reason to “guard” this information; unless they are really trying to keep their wiring type proprietary. It’s for your safety’s sake that you know, so it’s pretty reasonable to be asking. In reality the way it’s wired is not going to do much for their product or brand except confuse customers and maybe get a few repeats– so it’s not like you are asking Coke for the secrets to the recipe. Yes, sometimes this is not possible due to eBay or other online sellers that dissappear or are unresponsive. If you don’t get a response in due time, you can always try the DIY approach: opening it up and doing a manual diagnosis! To check out the “guts and bones” of your heater coil, you first need to unscrew the plastic cable guard that’s attached to the metal plug housing. 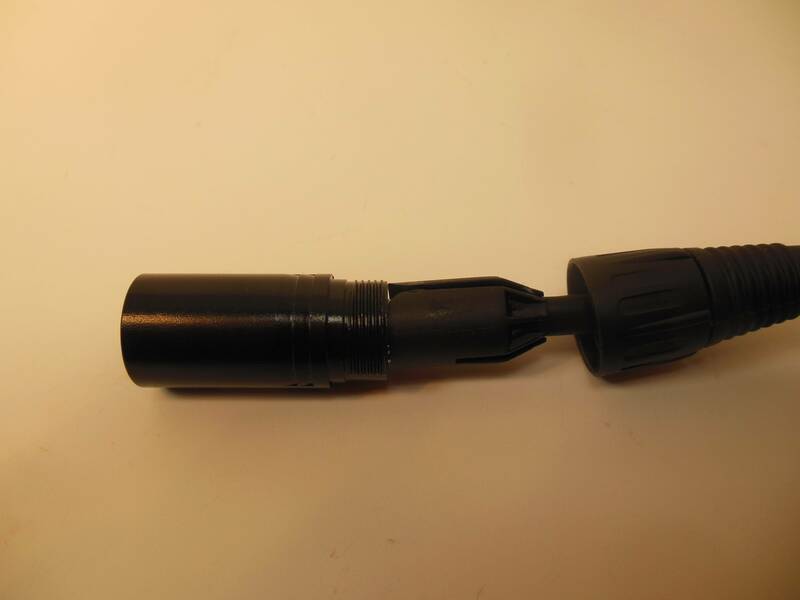 After it’s unscrewed, pull it back to reveal the plastic guard that covers the soldered pins. Carefully stretch and pull that back to reveal the pins and/or wires that lead to the pins. 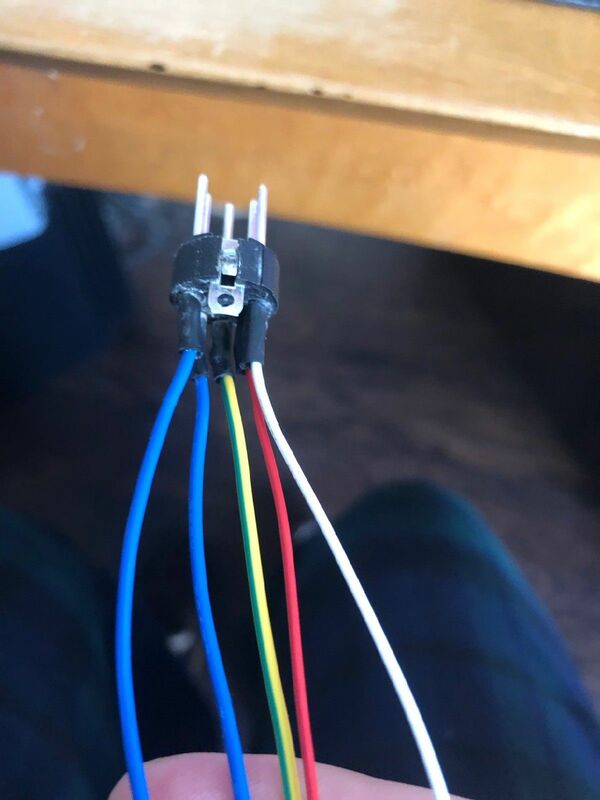 You should be able to see different wires (hopefully of varying thicknesses to make it easy) with different colors (hopefully) connecting to the 5 solder terminals on the XLR plug. If you see 3 of these wires that are thicker than the others, with one of those being a different color than the other two, you are in luck! Sometimes the wires are all the same size (as in the picture below) but there normally is some sort of color coordination between the different wires. Try to see if you can spot one odd wire that is not like any of the others to single out the ground first (’cause it’s easiest!). If you see an identical pair of two wires they are probably AC power (and normally interchangeable without any notable differences compared to DC power). If you see a pair of wires and one is red, one is black, they MAY be the TC’s/temperature sensor DC power lines which do matter as far as positive and negative. Now you will need to find out which of the TC’s is + and which is -. This is easy to do by trial and error. Instead of soldering them right away, just try one configuration out by twisting them together and testing (with the other wires protected/shielded of course). If the digital screen starts reading lower and lower temperatures as the coil heats up then you know the TC’s are backwards (fun fact: these controllers can be used in refrigerators as well using this method!). 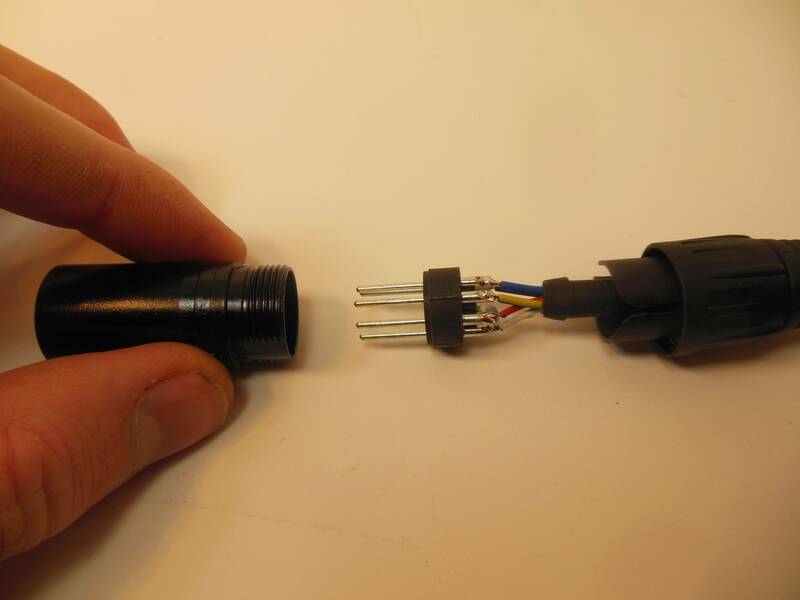 To re-wire: first, There may be shrink-tubing around the pins, in which case you will either try to remove with a blade, or alternatively pull the fabric cable sheath back to expose more wire, and cut all the wires. Before you cut the wires, label any with tape so that you can easily match them back up later. If you forget to do this you can always do a simple continuity test with a number of cheap devices found at hardware stores, Harbor Freight, and others. 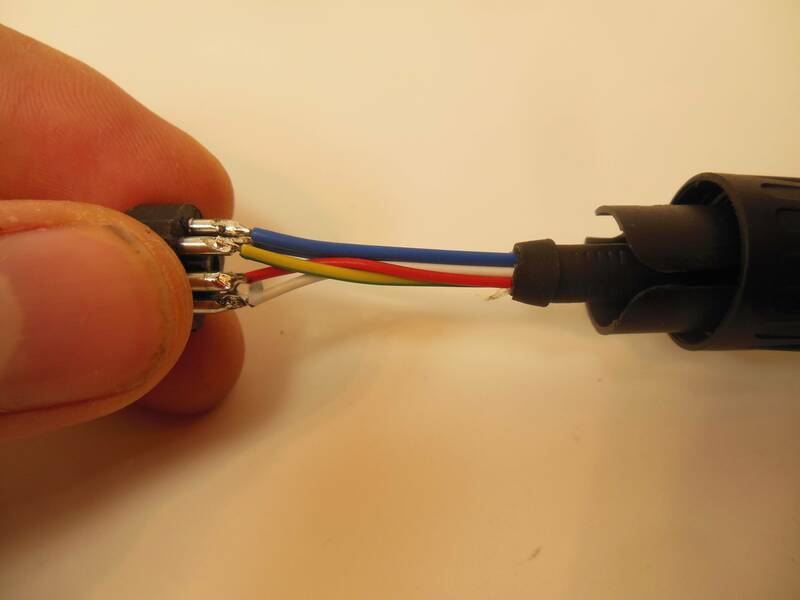 It’s best to cut the wires in different spots just to minimize any future chance of shorting; as well as to allow the cable sheath to slide back over more easily later on (it’s not completely necessary thought). Now, I like to make a little diagram with my (or your) e-nail controller on one side (just a column of numbers 1-5) and another with the new e-nail heating coil represented by 1-5. Then just connect/draw it like it needs to be, and heat up that soldering tool!